LC/MS is becoming nowadays a routine tool in many application fields. It provides a solution with high selectivity, reliability, productivity and sensitivity requested in the areas of pharmaceuticals, food safety, chemicals, environmental analysis, as well as clinical. Shimadzu is offering a complete range from single quadrupole system, triple quadrupole systems to hybrid IT-TOF system. Shimadzu's LC/MS (Liquid Chromatograph-Mass Spectrometry) systems have created a new trend in the LCMS world, associating very fast polarity switching to fast scanning, low dwell time and pause time, while increasing sensitivity and data quality. This results in a powerful range enabling more compounds to be screened in less runs. Thus enables qualitative and quantitative analysis and, in fine, improves return of investment for all laboratories. 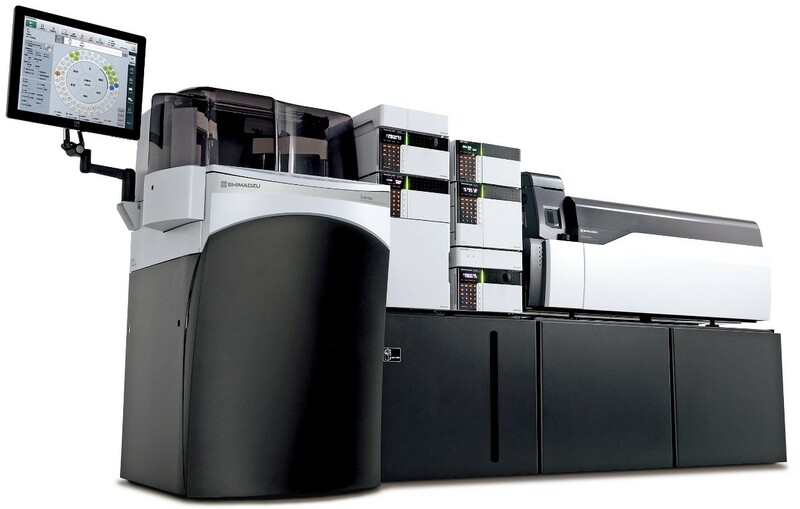 Shimadzu LCMS-IT-TOF is a unique hybrid configuration coupling Ion Trap with Time of Flight allowing MSn analysis with mass precision and mass resolution. A powerful tool for natural substances, pharmaceuticals & impurities, metabolites or polymer additives structural analysis.